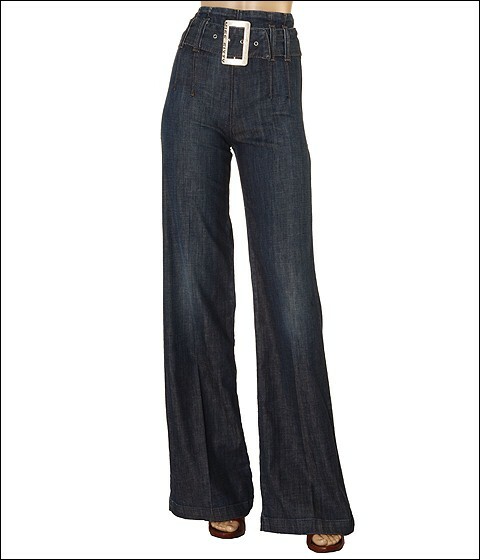 Look amazingly retro in the high-waisted 'Gang Trouser' by Miss Sixty. Belt with adjustable buckle. Zipper closure at back for easy on/off. Back pockets. 35 inseam. 12.5 front rise. 24 leg opening. 98% cotton, 2% elastane. Machine wash cold. Made in Italy.